With a wide variety of projects such as bags, scarves, toys, blankets, a notebook cover, a PDA holder and even a set of baskets, all crocheters are sure to find something to suit their style and skill level. 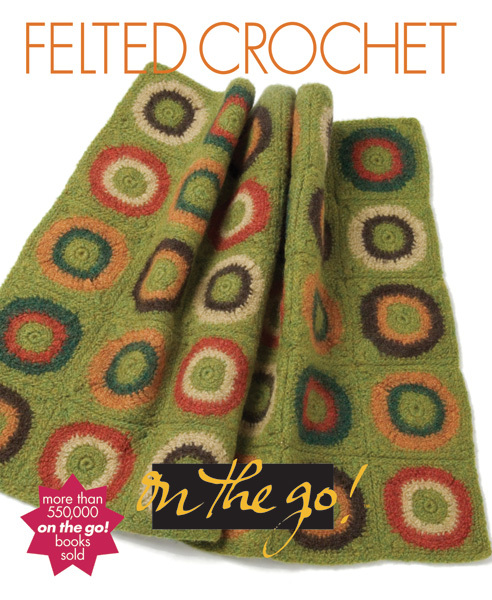 Crocheters can now add felting to their fiber art repertoire, because the highly successful On the Go! series has provided an easy-to-follow—and carry—book combining two of today's hottest fiber arts trends. Inside you will find felted variations of classic crochet motifs, such as the granny squares in the baby blanket and felted rug, as well as innovations combining form and function, as seen in the cute embellishments on the structured basket.